SOLD- 164 Spring St. Hanover - Quincy Real Estate, South Shore Real Estate, SALES & LEASING! Welcome to Hanover! 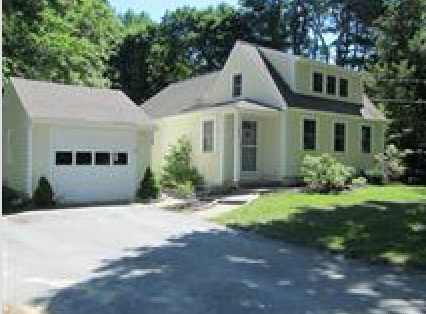 Charming move in ready cape in a great location. The perfect home for first time home buyers or down sizers searching for easy living in a wonderful setting. FIRST FLOOR MASTER SUITE and 2nd bedroom and bathroom/ laundry with one year old washer all on first floor. 3rd bedroom is on second floor and is currently being used as a family room. Great outdoor space with deck and patio and large level fenced in yard with sprinkler system. Abuts conservation land. Location is so convenient, close to center, all major routes and shopping! This one won't last!